The Ramble Hotel’s lobby provides a comfortable place to relax. The hotel is New York-based Death and Co.’s second location. The Ramble Hotel is celebrating its grand opening this week, becoming the first hotel to be unveiled in the River North Art District. 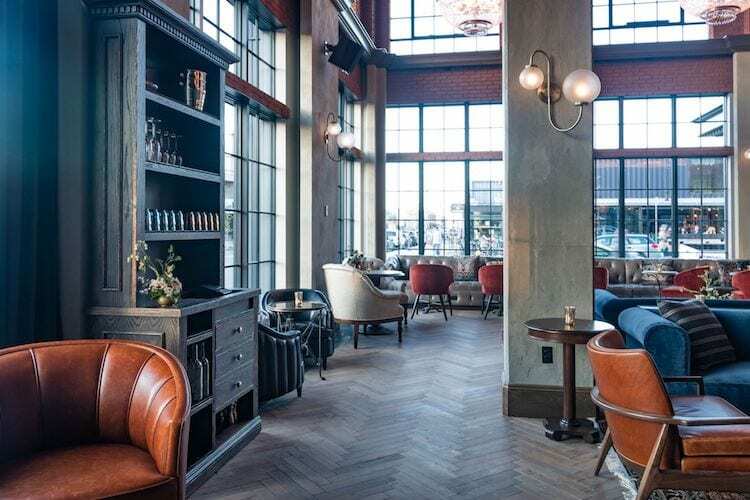 The 50-room boutique hotel at 25thand Larimer streets melds a classy, comfortable interior with a brick exterior reminiscent of the warehouses that defined the neighborhood. Gravitas Development, which developed and will operate the hotel, partnered with New York’s Death & Co., which will run the hotel’s grand lobby bar, and more intimate and casual bar spaces on the second floor. A “theater” set along Larimer Street provides a space for intimate concerts, film screenings, artist gatherings, weddings and other events. “More importantly, I was trying to create a gateway place for the community,” he said. Johnson Nathan Strohe designed the hotel, which sits at the edge of RiNo and features two levels of below-grade parking. Sprung Construction was the contractor.